ASTM B337 GR2 Titanium Seamless Square Tube have feature of Low density, High specific strength, Excellent corrosive resistance, Rustless,Good thermal stability, Good thermal conductivity, Biological features, Plasticity, etc. Titanium Tube have wide useage in General service industries (petroleum, food, chemical, paper, fertilizer, fabric, aviation and nuclear); Fluid, gas and oil transport; Pressure and heat transmission; Construction and ornament; Boiler heat exchangers; motorbycle and bike. Looking for ideal Titanium Seamless Square Tube Manufacturer & supplier ? We have a wide selection at great prices to help you get creative. 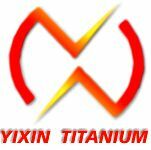 All the Titanium Seamless Square Pipe are quality guaranteed. We are China Origin Factory of ASTM B337 GR2 Titanium Tube. If you have any question, please feel free to contact us.